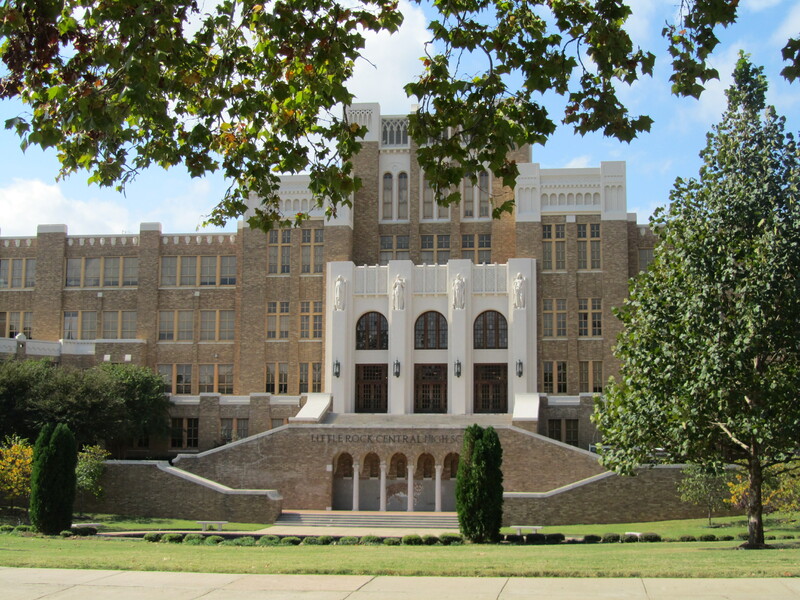 We stopped in Little Rock to see Central High School. I had taught about it for years, and it was amazing to stand on the steps where such a change began for our country. 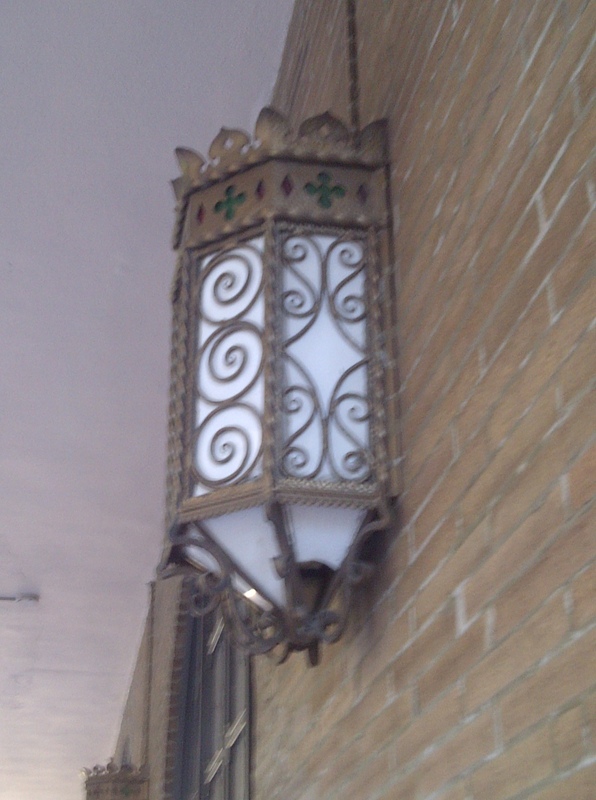 It is a truly beautiful building which should be preserved regardless of its history, and it is still an active high school, so tours are by appointment only. Across the street, the National Parks Service maintains a small but excellent Visitor Center with great audio/visuals of the events that occurred there. All so peaceful now. A wonderful surprise was a display at the Visitor Center of a number of quilts by an artist new to me, Sabrina Zarco. 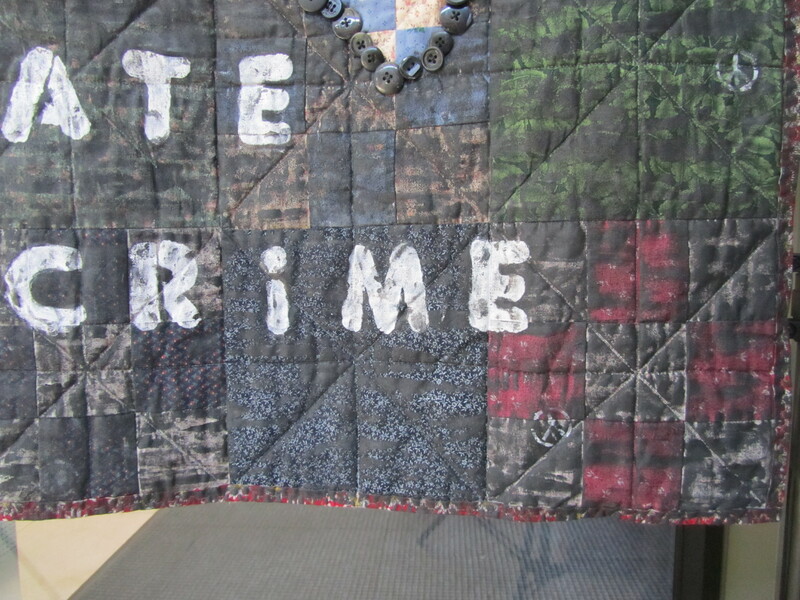 The exhibit is called “American Spring: A Cause for Justice Quilt Exhibition”. I found these two quilts especially arresting. 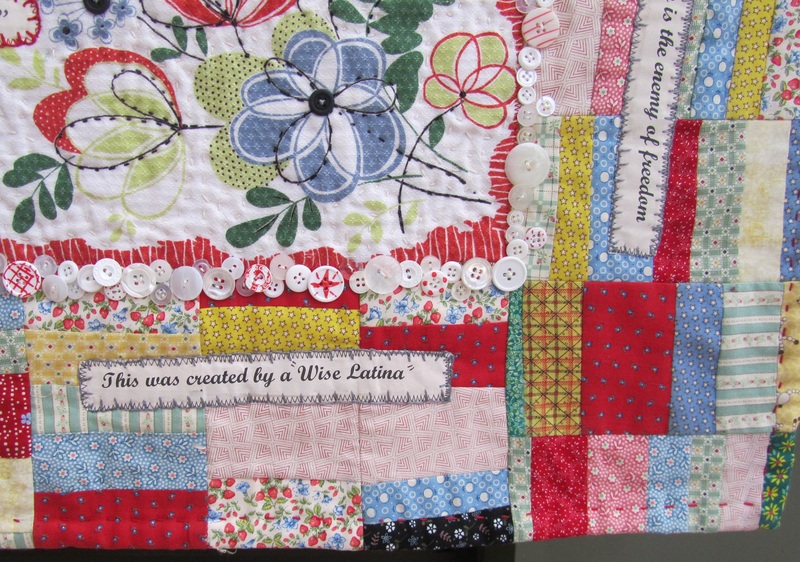 I love that she made this one from a vintage tablecloth (thought I was the only one who did that). I’m told all the quotations are things that have been said to her. 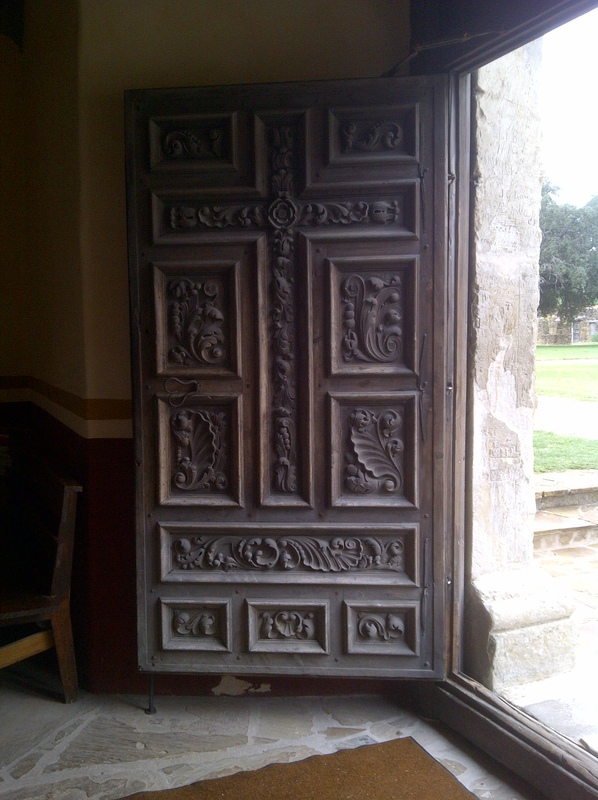 These are nine patches, with paint and stenciling over top, besides the large “applique”. 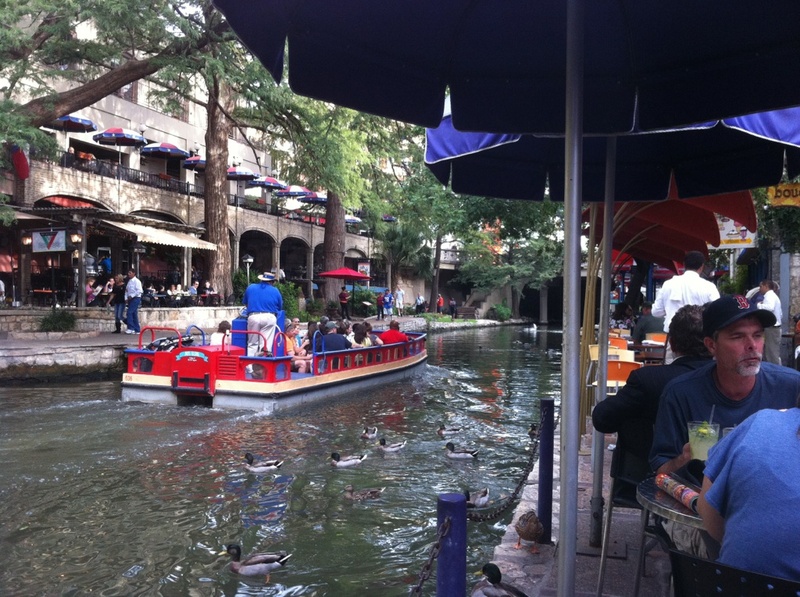 We had lunch downtown in their River Market District, then continued toward home. 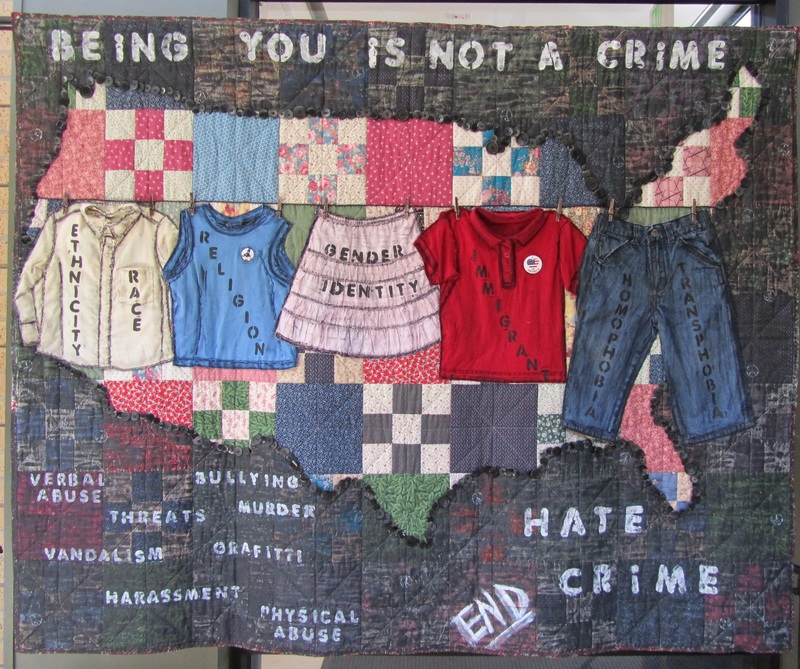 Categories: Uncategorized | Tags: AR, arkansas, art quilt, Central High School, desegregation, discrimination, Evening in the Garden, Little Rock, modern quilt, prejudice, quilting, sabrina zarco, Valerie Root | Permalink. 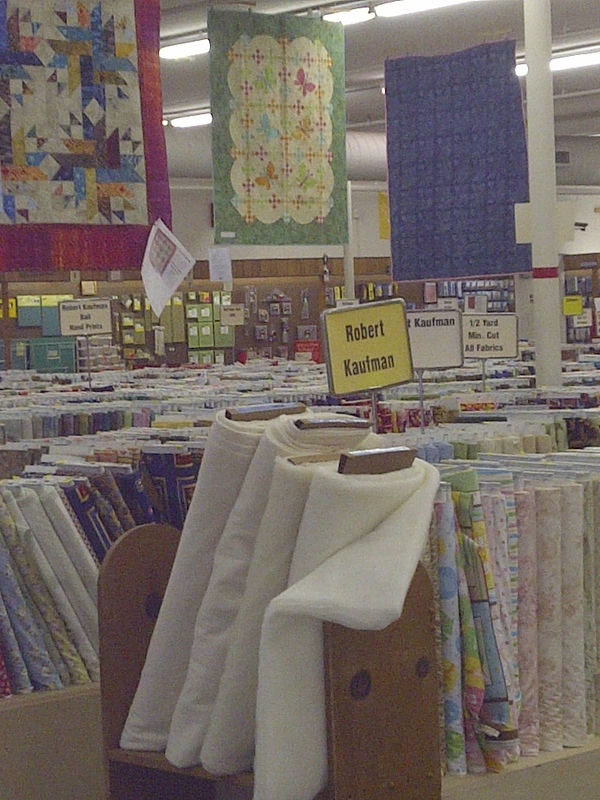 Wow, I had a hard time choosing my favorite quilt to enter in this show. I really like several of the things I’ve made this year. In fact, I started a post on “Windflowers” before I realized that this was my favorite. For today. 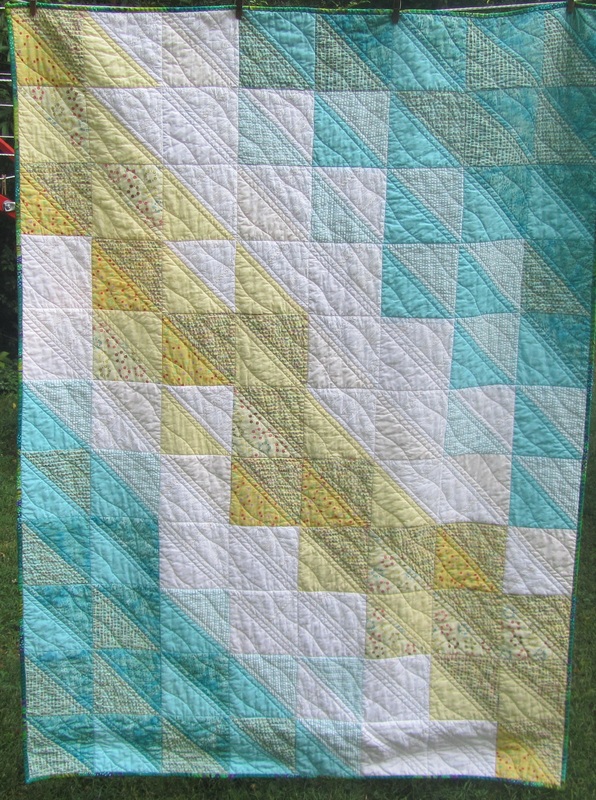 This is “Ocean Breezes”, made in early July. It’s made from 176 HSTs, in a variety of textured fabrics. I wanted that breezy, summer, beachy feel, so I used several seer suckers and an embellished white cotton that had pin tucks and rick rack . 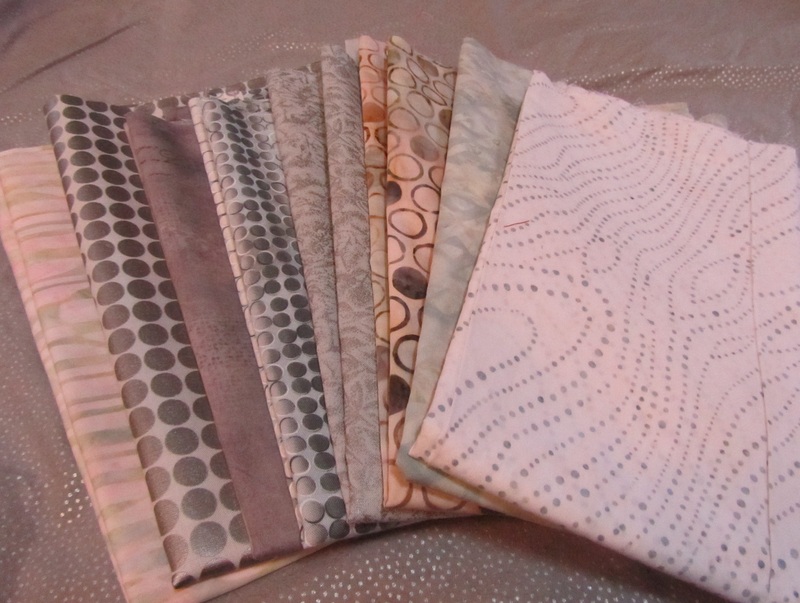 This was my first foray into fabrics like these for quilting. They were stretchy and finicky, but we got along all right, and everything came out square enough in the end. The pale yellow back was hard to photograph. I pieced it with a strip of seer sucker. The best part about Ocean Breezes is its new home. 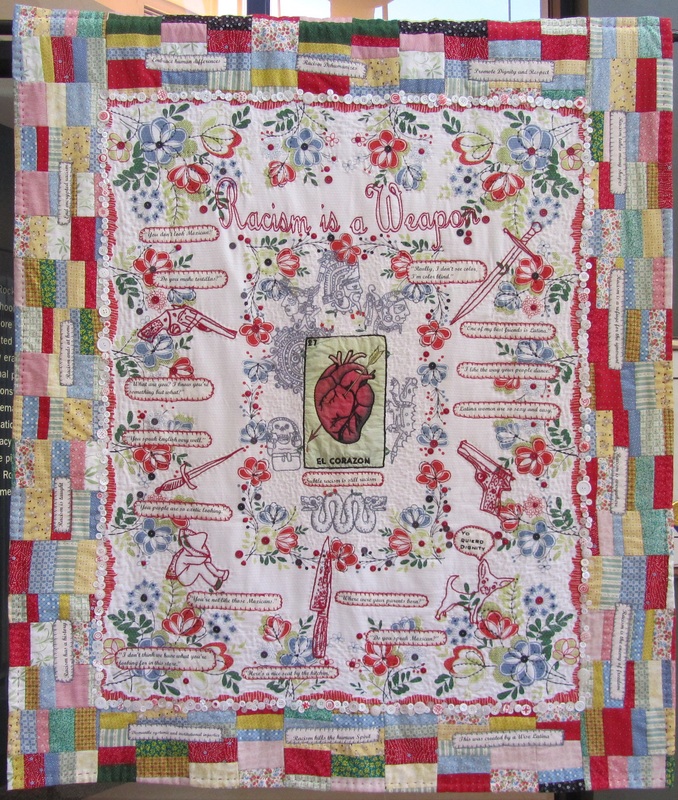 It was purchased by a woman who had an antique family quilt in aqua and white (unusual, I think, she sent me a picture), and she felt that this one was meant to come home to be with hers. I couldn’t be happier. 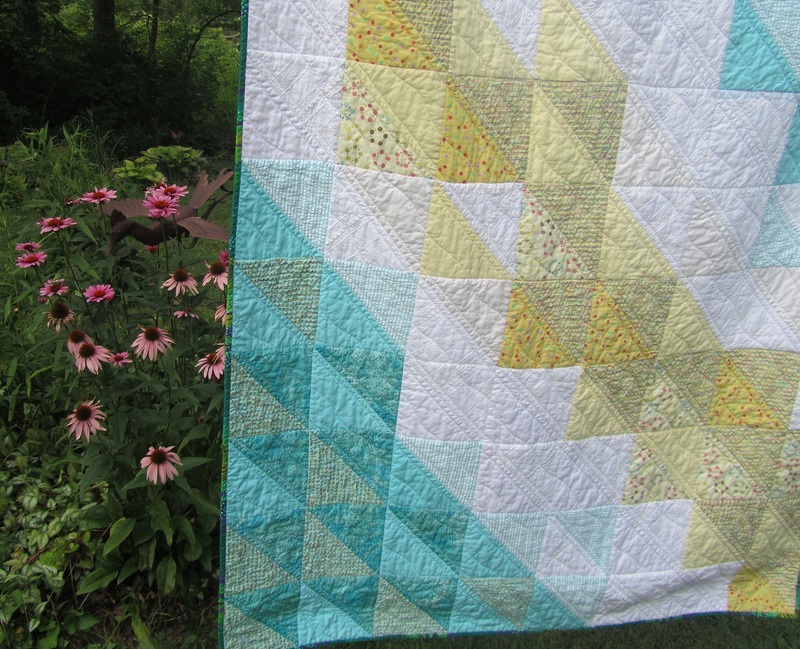 Categories: Uncategorized | Tags: bloggers quilt festival, Evening in the Garden, hst, machine quilting, modern quilt, ocean breezes, texture, Valerie Root | Permalink. 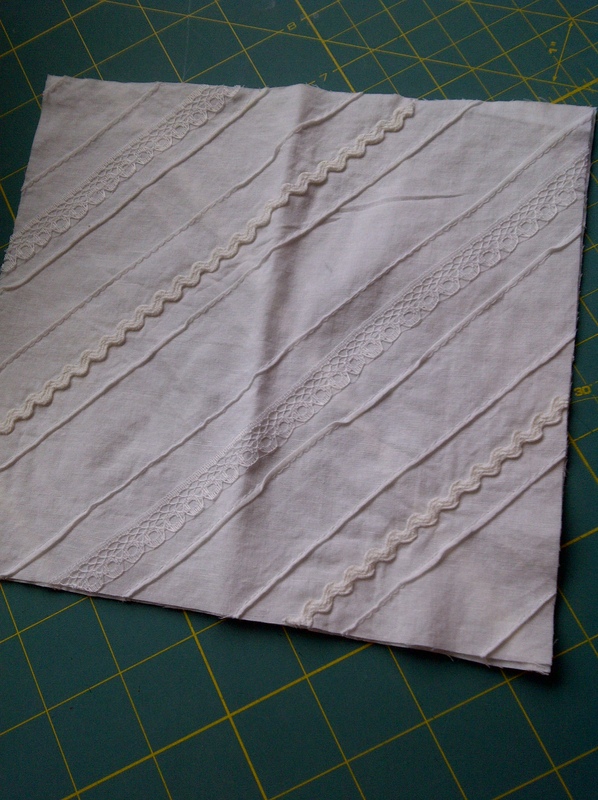 Obviously, no sewing was done in the last three weeks, so nothing was used that way. 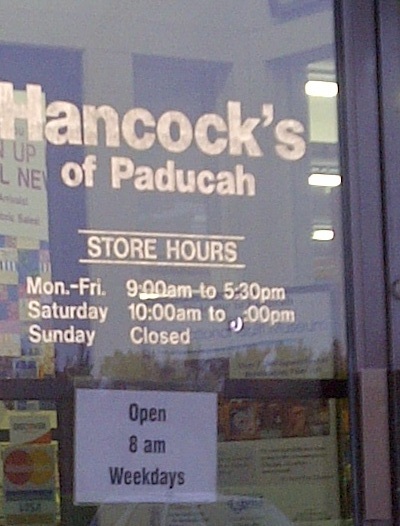 And, yes, I did make Hancock’s of Paducah my last stop… so there’s no net use to report. Still, these are good purchases, don’t you think? I mostly stuck to my list, and stayed on my budget. The lovely pile of Kona solids came from a discounted bin of remnants (they are generous about what is a remnant there!). 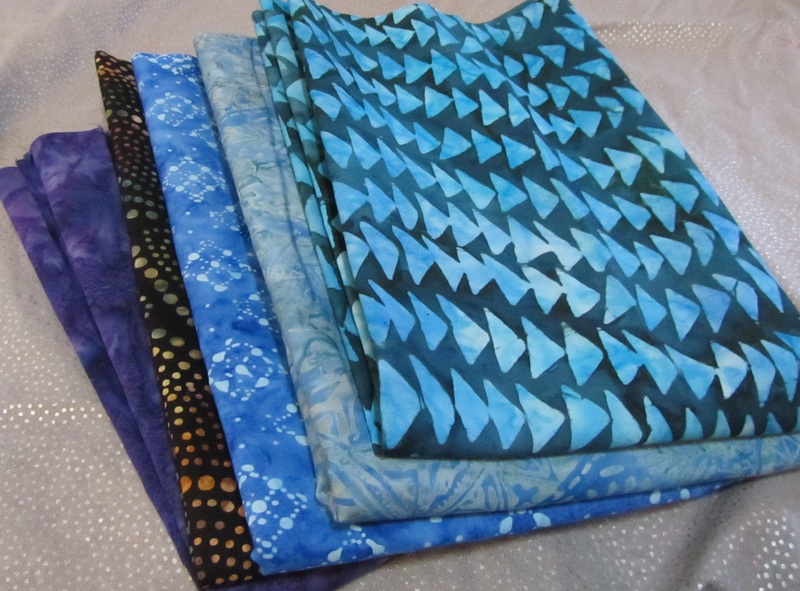 The rest (mostly batiks, also from a discount table) are great neutrals and blues I need for a prospective quilt. No regrets here. 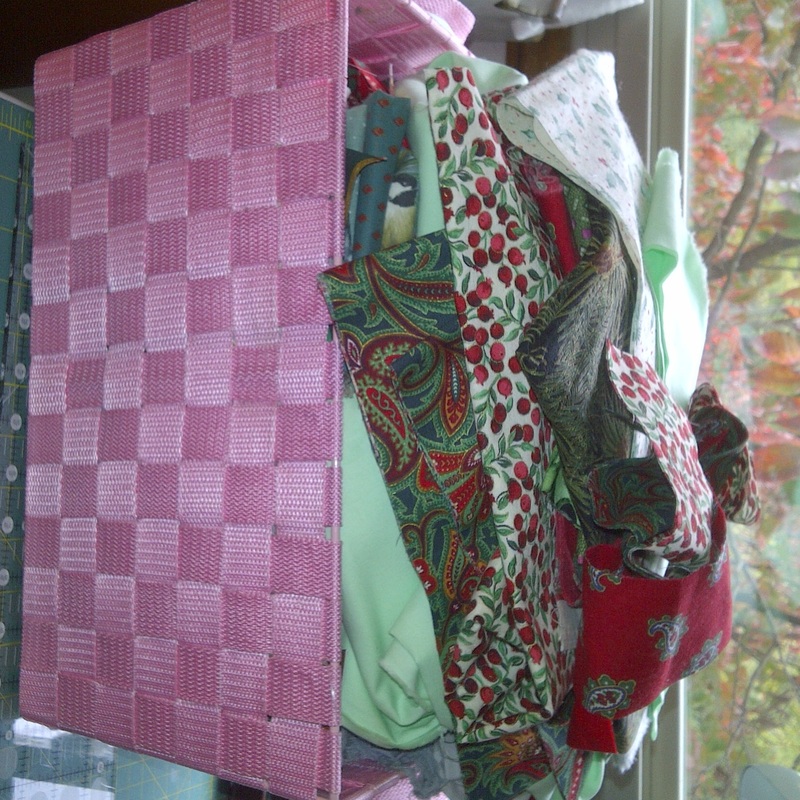 To help the numbers a little, I decided that this would be a good time to donate some large pieces of fabric that are neither pretty nor first-quality, and will never get used by me. Someone else can have a stab at them. YTD: +114 yds., -192.5 yds. Categories: Uncategorized | Tags: Evening in the Garden, fabric, Hancock's of Paducah, Kona solids, quilting, Stash Report, Sunday Stash, Valerie Root | Permalink. 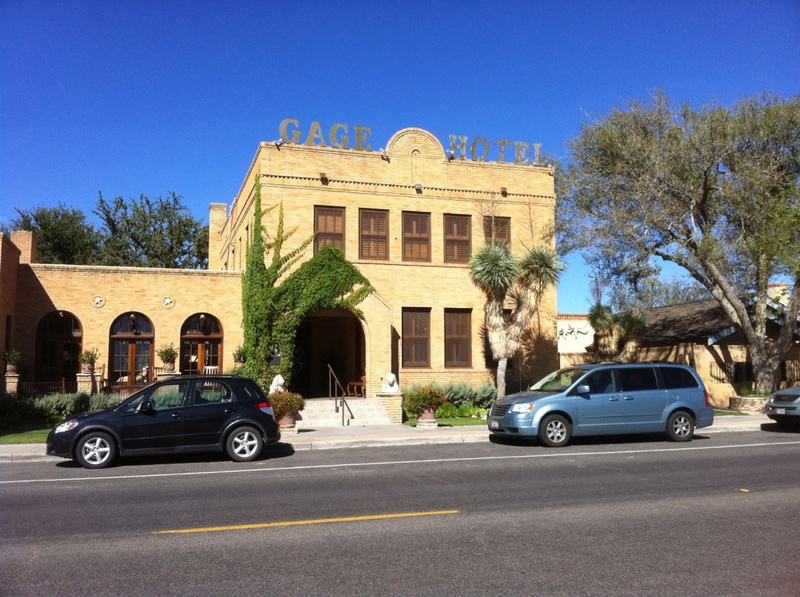 Sitting here in the lobby on the historic (1929) Gage Hotel in tiny (pop. 430) Marathon, Texas, using their wifi to post this. 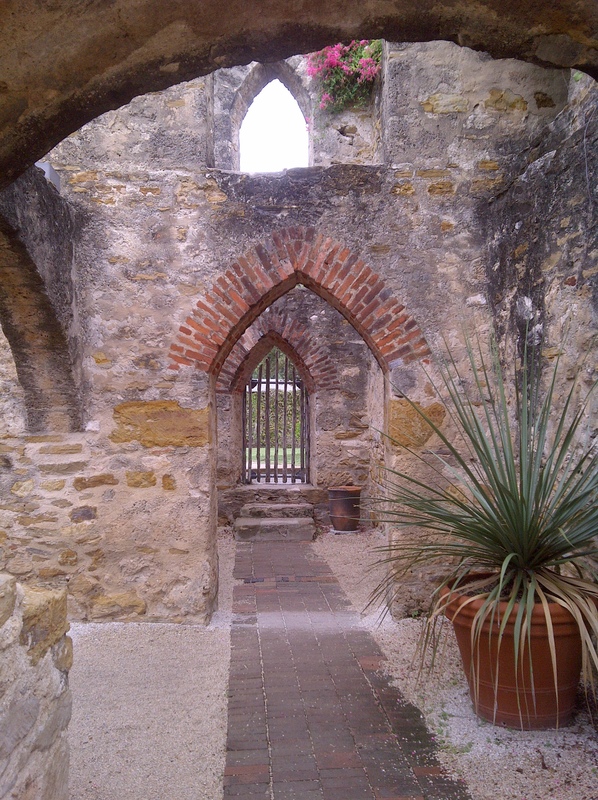 We left San Antonio this morning on the way to Big Bend National Park. 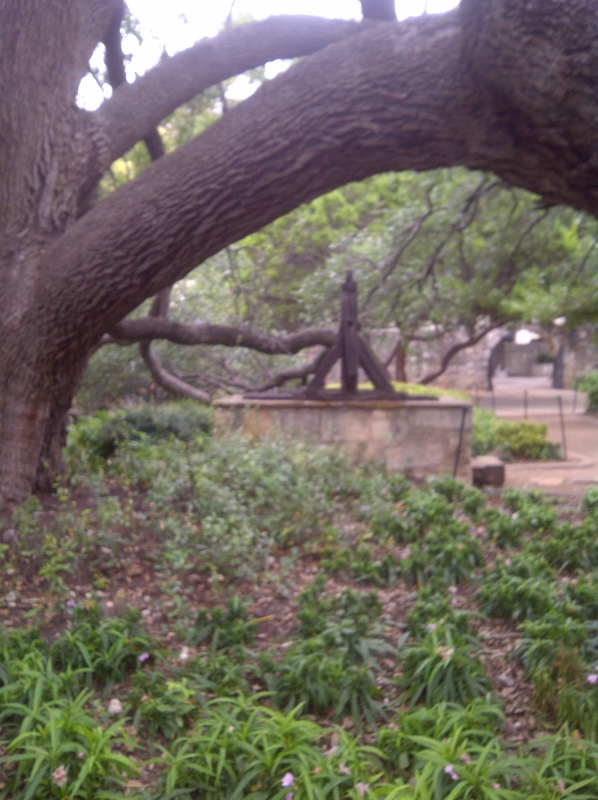 San Antonio is a beautiful and friendly place, and here are some images. Sorry, these are just phone photos. It’s a city full of textures and patterns. 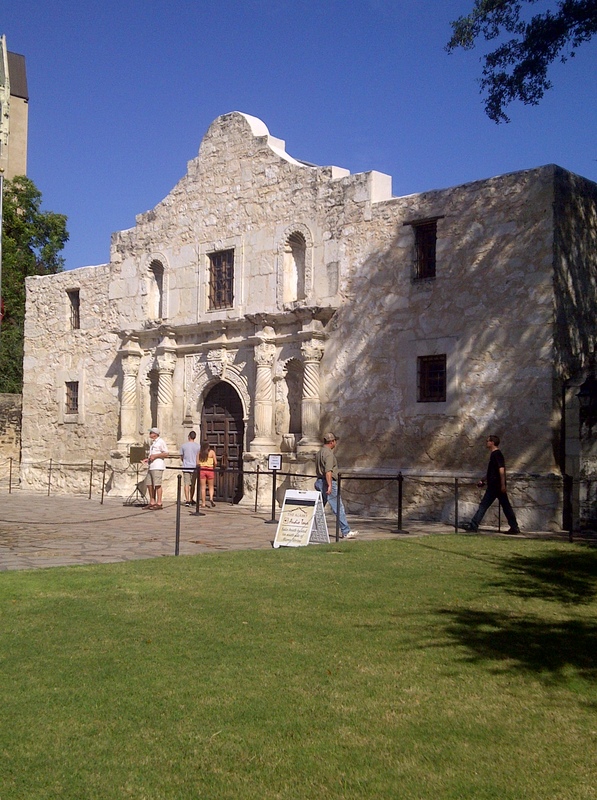 Categories: Uncategorized | Tags: alamo, Evening in the Garden, gage hotel, marathon, mission, modern quilt, quilting, riverwalk, san antonio, St. Antony Hotel, Texas, Valerie Root | Permalink. 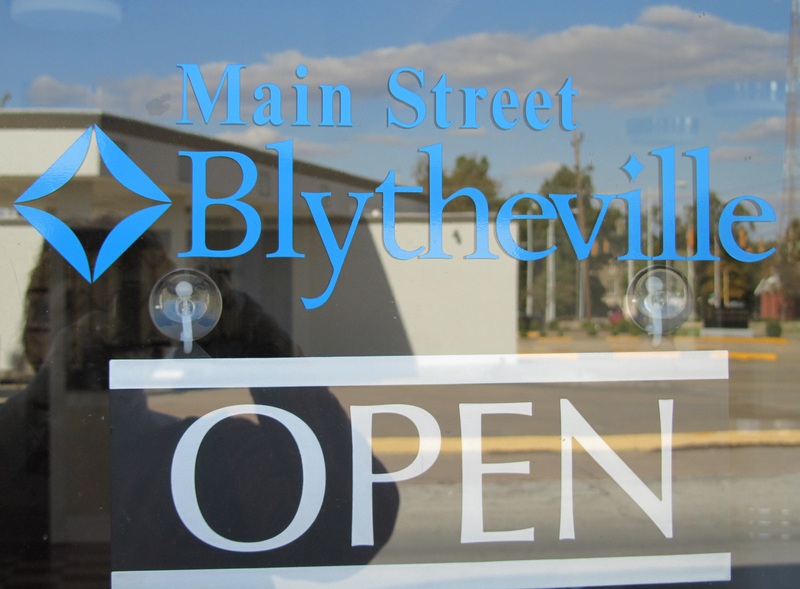 In spite of the sign, this station was not “open”, but someone was working in the back in the “Main Street” office. 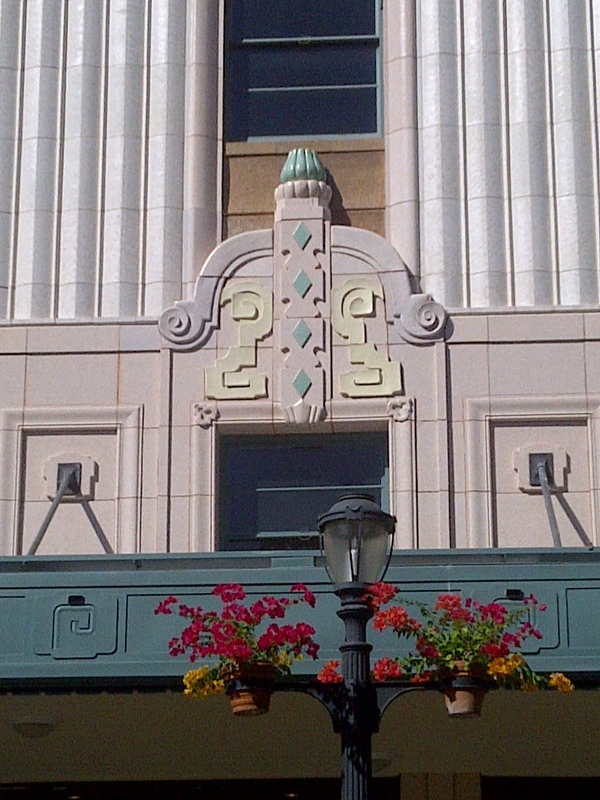 This art deco gem was built in 1939. 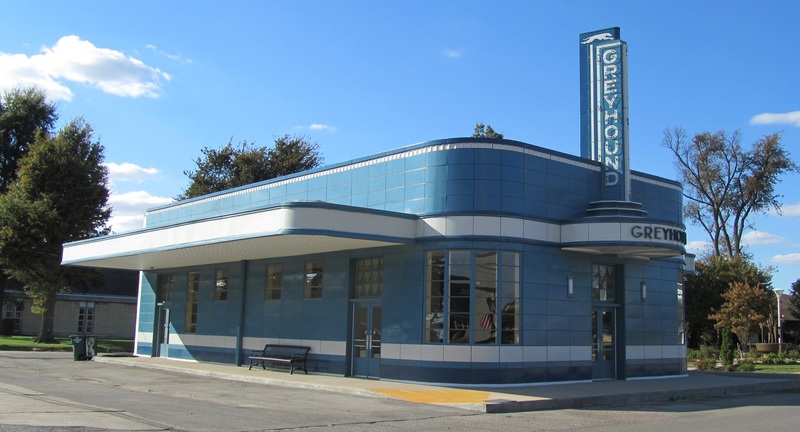 It’s on the National Register of Historic Places, and believed to be one of just three left. 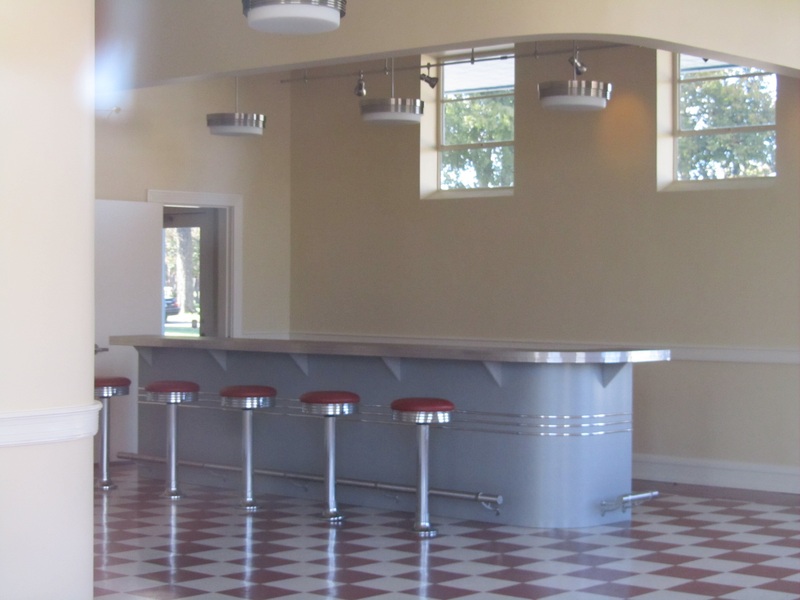 Such an amazing and functional building, with its wide overhangs, neon sign, and tiny, perfect lunch counter inside. 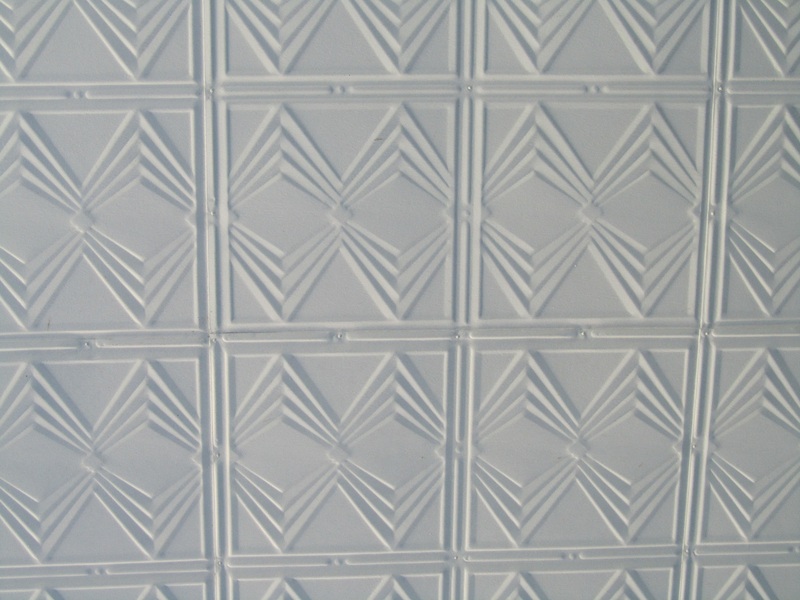 The underside of the overhangs was even stamped with quilting designs! 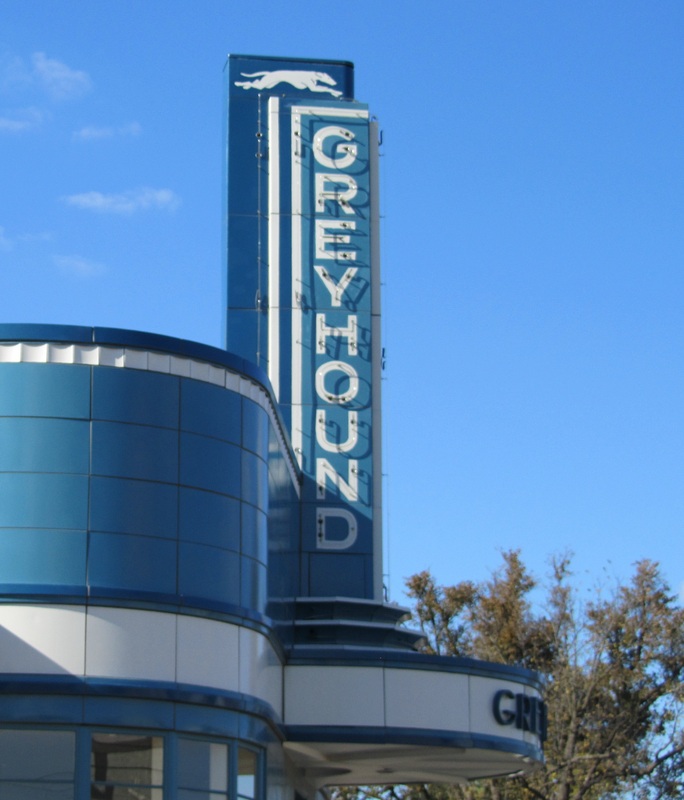 Categories: Uncategorized | Tags: AR, Art Deco, Blytheville Arkansas, Evening in the Garden, Greyhound bus, modern quilt, quilting, Valerie Root | Permalink. Quilt Fabric on the Hoof, er, on the Plant! It was unseasonably cold when we left Ohio Monday morning, and we passed many frosty fields. 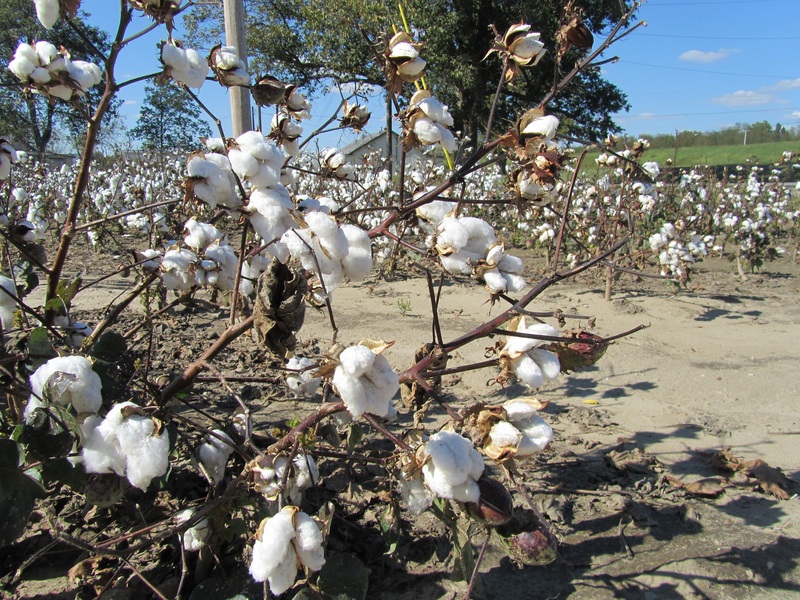 When we arrived in Missouri, the fields again looked frosty, but they turned out to be frosted with ripe cotton. 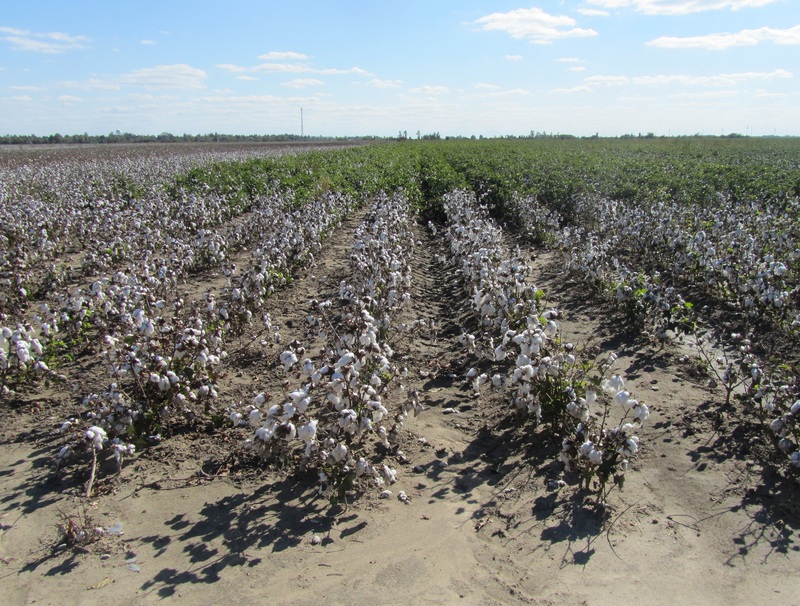 We have traveled in cotton country before, but never in the fall. 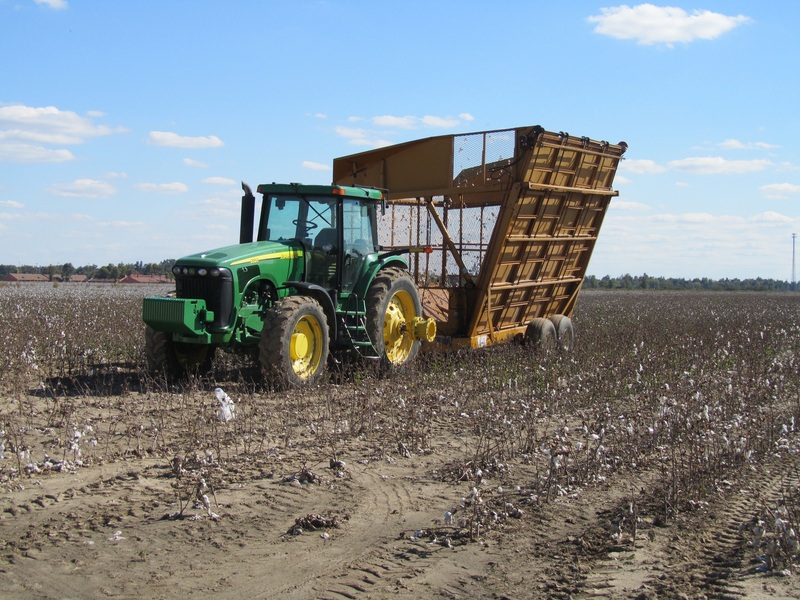 I’m used to corn lining the roads at home, but here and all through Arkansas, there were acres and acres of cotton in various stages of harvest. 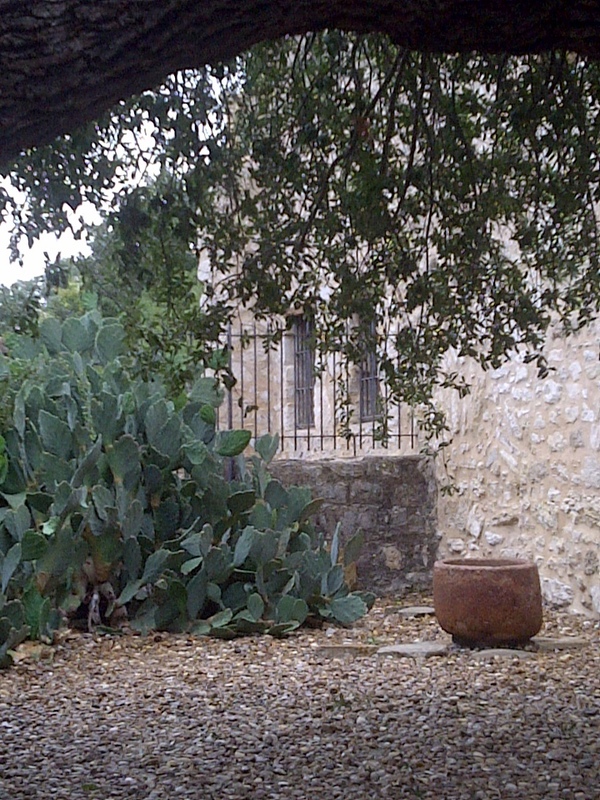 In some fields, the effects of the drought were evident, with sparse crops. 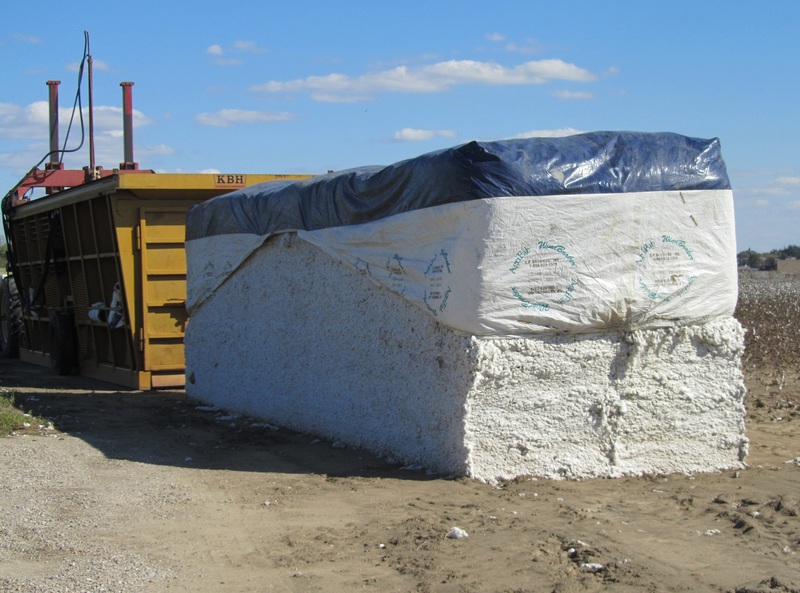 Still, they seemed to be harvesting a lot, some in these huge rectangular bales, and some in large round bales that were each wrapped in bright yellow plastic. Rail cars waited on sidings and trucks hauled bales around. 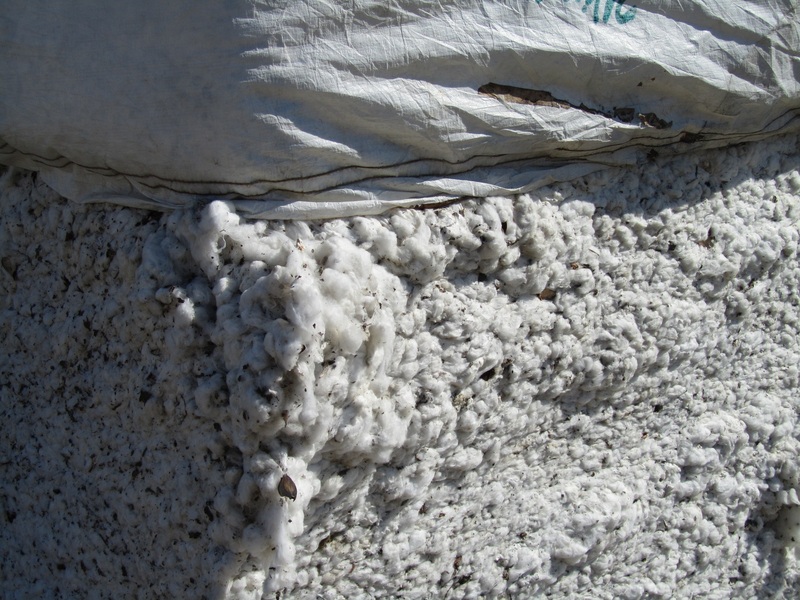 When we stopped to take these pictures, I felt the “lint” on the plants. It reminded me of wool: soft and a little greasy. 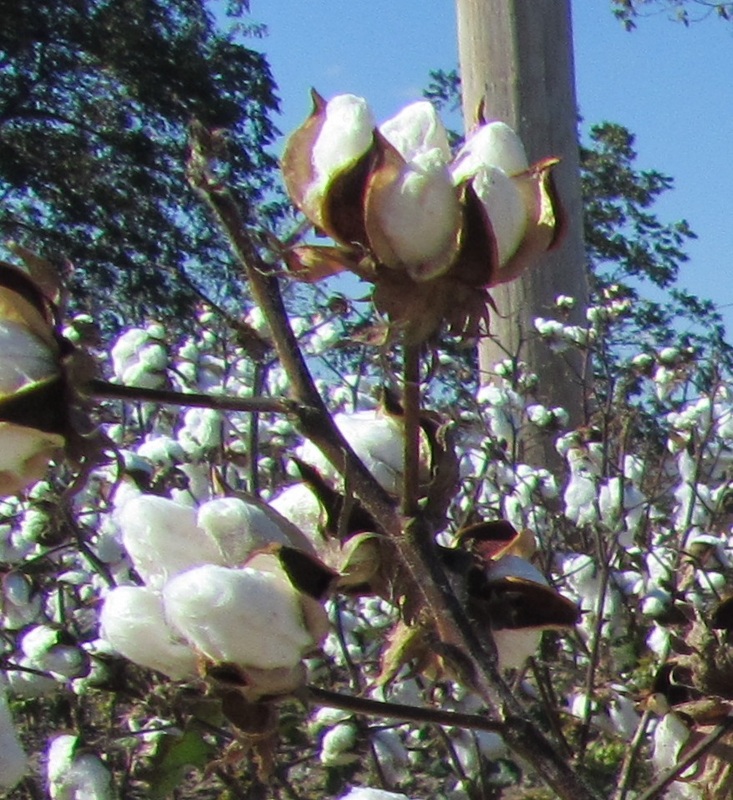 Of course, I was thinking about all the quilt fabric this could produce, but I forgot that cotton seed meal and oil are important parts of the crop. 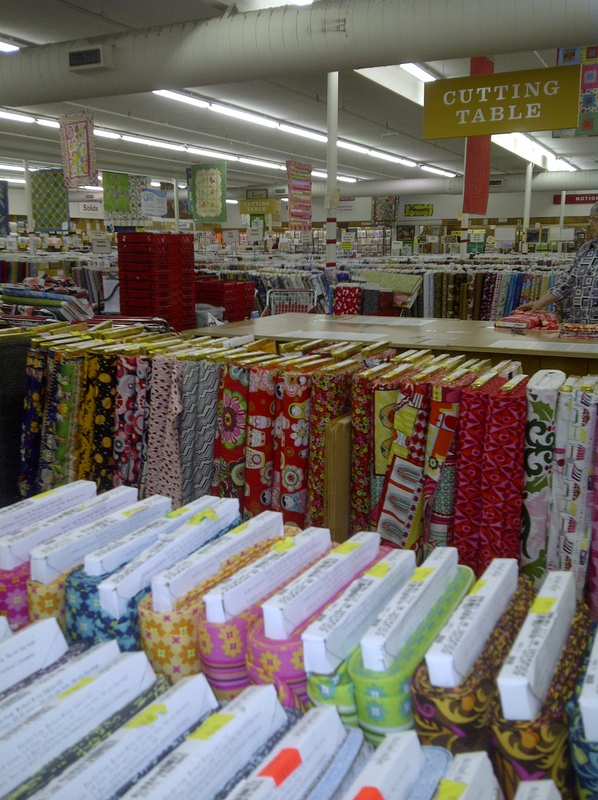 Anyway, this is one of the places where our beautiful fabric gets its start! Categories: Uncategorized | Tags: arkansas, cotton, cotton fabric, Evening in the Garden, fabric, missouri, modern quilt, quilting, Valerie Root | Permalink. Finally used some fabric! Well, I’m always using fabric, but I wait until a project is finished to count it. 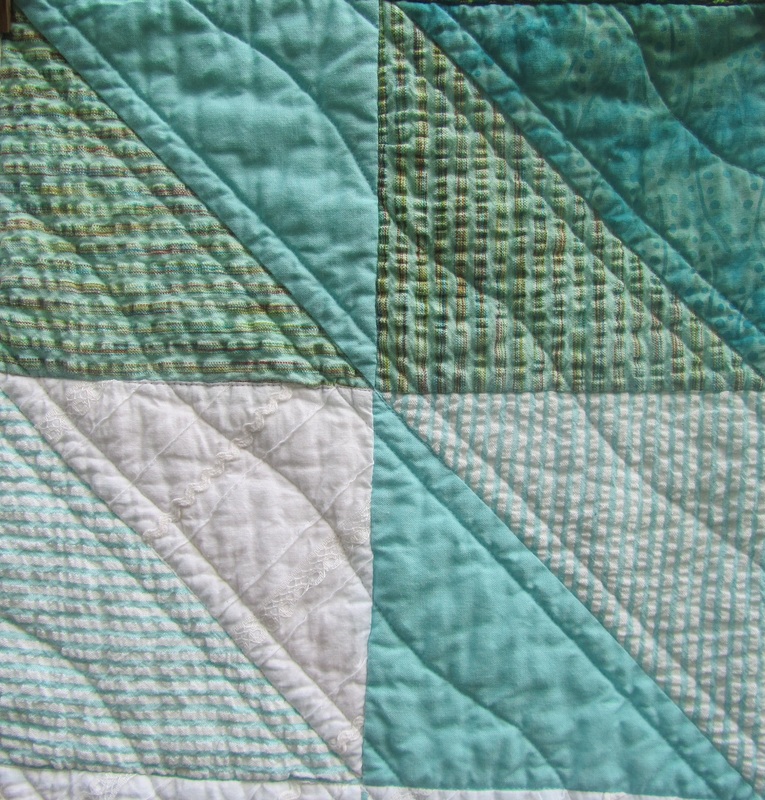 The Blue and Gold Cabins quilt was all from stash, which tells you something about my stash. More importantly, it used two rather difficult pieces of fabric. I loved those wild blue and gold prints when I bought them, but they were on the verge of becoming large (2 yard pieces) stash dogs. 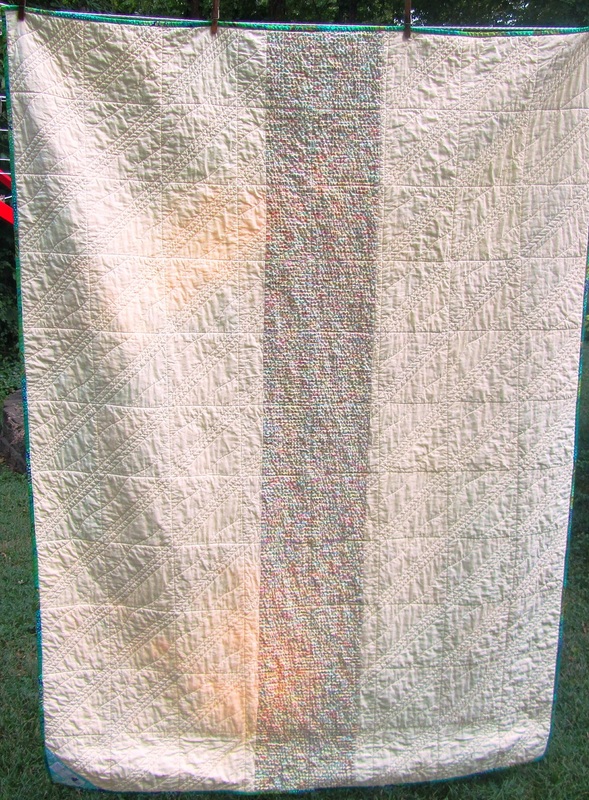 In this quilt, they are not just “okay”, they are perfect for this recipient. Now they’re happy and I’m happy, and I feel like counting them double, but I won’t. Recently, Judy was saying that she uses the yardage calculations from her EQ7 designs to calculate stash usage. Somehow, this hadn’t occurred to me! I guess I always assumed the estimate would be too high. 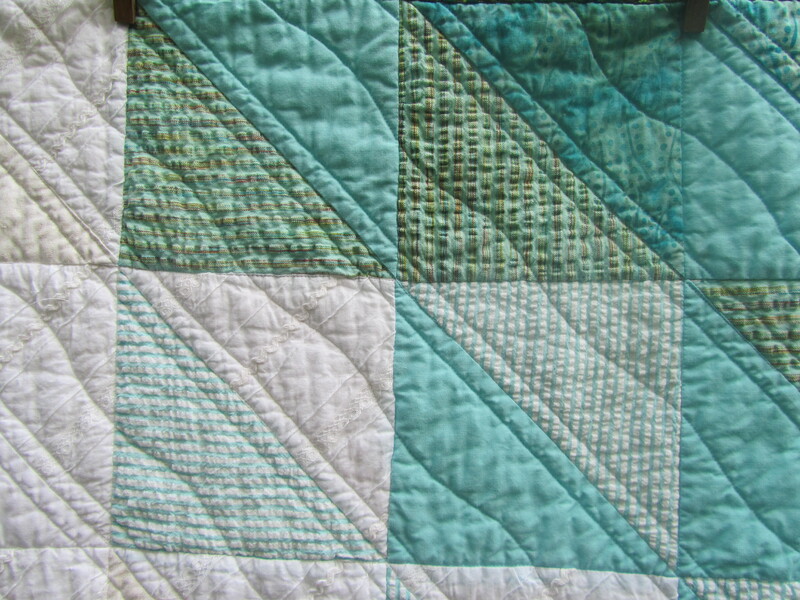 I took a look at it this time, compared it with my guesstimate on yardage for the top, and found it to be pretty close (with the large, straight pieces and limited fabrics in this quilt, it was fairly easy to figure). What about you? Do you find EQ estimates to be close? 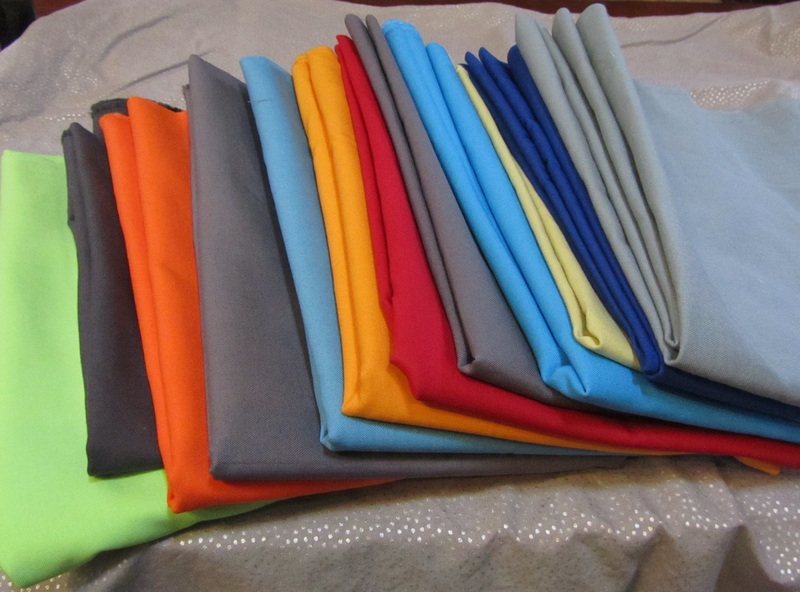 How do you measure your fabric usage? YTD: + 102 yds, -185.5 yds. Net used in 2012: -82.5 yds. 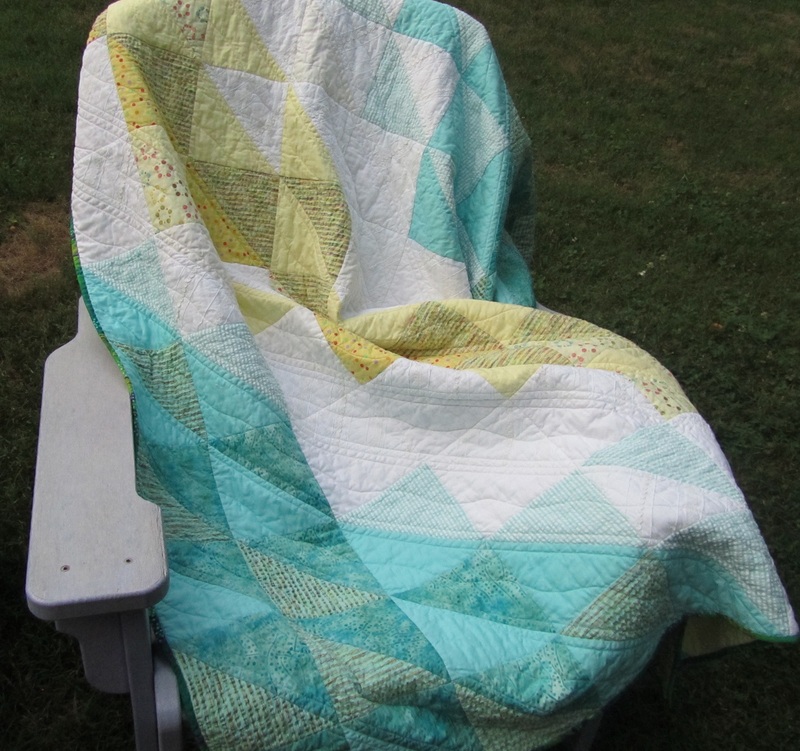 Categories: Uncategorized | Tags: Evening in the Garden, fabric, modern quilts, quilting, Stash Report, Valerie Root | Permalink.